Dusty Houses and Type 1 Diabetes – microBEnet: the microbiology of the Built Environment network. microBEnet: the microbiology of the Built Environment network. Among the cleanest and wealthiest countries in the world, Finland has the highest rate of Type 1 diabetes, while other messier and poorer countries have much lower rates. A recent article in the Washington Post discusses ongoing research to explore how exposure to dust and bacteria in houses might contribute to the onset of Type 1 Diabetes in children. 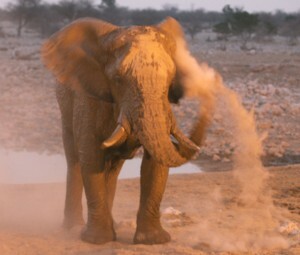 Maybe this is also the secret to the mystery of why elephants dust bathe? Holly Ganz is a project scientist at UC Davis working with Jonathan Eisen on the microbiomes of built environments where animals live. Jonathan Eisen on Antimicrobial chemicals and antibiotic resistance in dust – now open access!